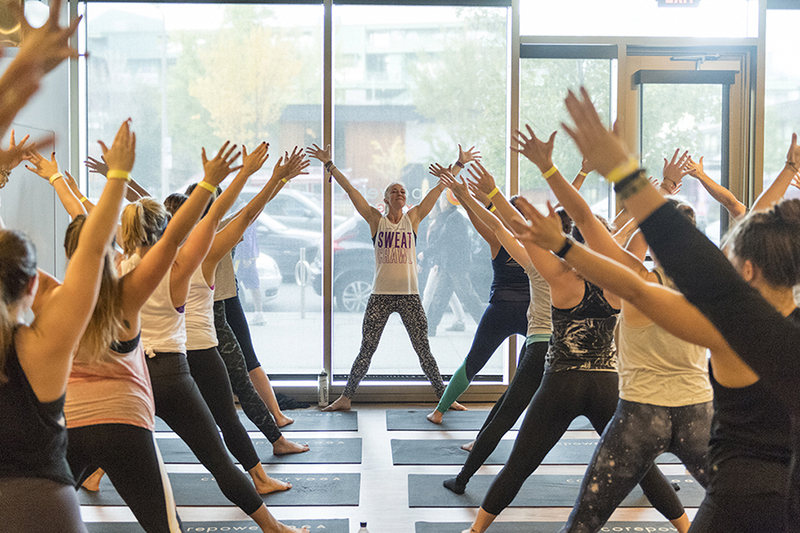 Can You Survive the SweatConRally Fitness Crawl? How do you change up the old-fashioned bar crawl? Well, one method is to re-conceive the whole idea, by adding more downdogs, jumping jacks, and plank holds and having fewer shots (shots, shots, shots). Behold: the fitness crawl. Returning to the city for the fourth time on April 28, SweatCon Rally provides a little taste of what each participating studio has to offer, without succumbing to gluttony by way of draft beers and bar snacks, as participants hop from one fitness class to the next—it’s all the party without any of the regret. 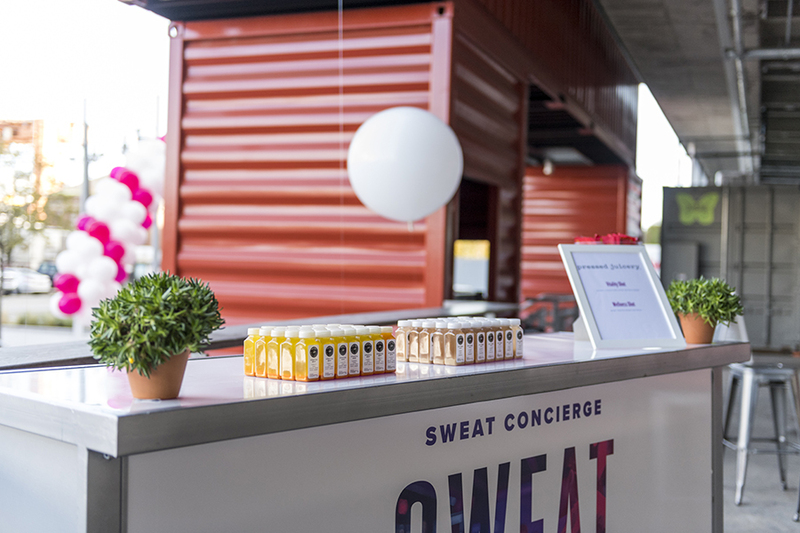 SweatCon Rally is brought to you by Sweat Concierge, an online site providing reviews of fitness studios for everything from CrossFit to barre. Tori Scott, founder of Sweat Concierge, says they are the anti-Yelp, seeking out reviewers who are expert class-goers and fitness enthusiasts themselves to provide honest reviews. Basically, you’re not getting input from people who don’t know what they’re doing. First introduced to the city in June of 2016, SweatCon Rally was created by Scott as a way to bring her online readers offline. What started out as a small gathering of 30 people has exploded into a 450-person bash. With tickets set to go on sale April 9 for $75 each, Scott urges those who are interested to act fast. The second event, which was capped at 200 people, sold out in two hours and the waitlist was over 300 people long. When she bumped it up to 450 people for the last event in November, it sold out in five days. 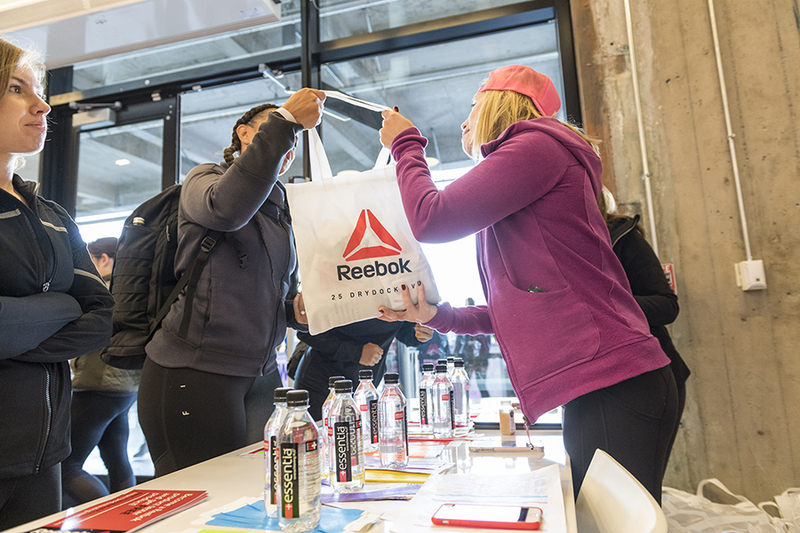 The first stop on this fitness-crawl is at Reebok’s shiny new headquarters in the Seaport district for a check-in party where the participants will have the chance to shop and mingle. 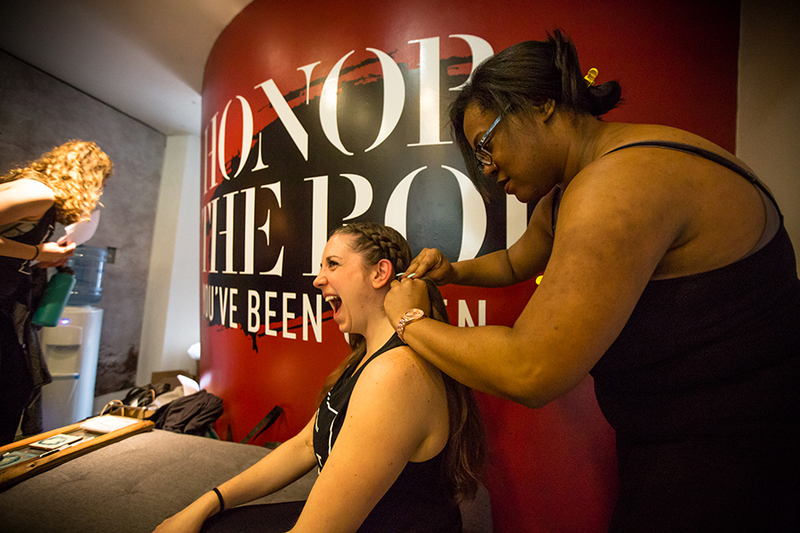 As the title sponsor, Reebok is offering a 30 percent discount in their retail store on-site and Glamsquad, Sweetgreen, Pressed Juicery, a GIF photobooth, and DJ will all be on-site. Each participant will also leave with a swag bag filled with an event tank top, coffee, coupons, and energy bars, among other things. But you’re not wandering all over the city. When people purchase a ticket, they pick out a neighborhood to visit, Scott explains. Participating neighborhoods include Back Bay, Downtown, South Boston, the North End, and the South End/Seaport. From the check-in party, participants will be bused (yes, in big yellow school buses) from Reebok to three different studios in their selected neighborhood. Some participating studios include B/Spoke Studios, Orangetheory, YogaWorks, and BURN Fitness Studios. Once at each studio, the participants will be taken through a 30-minute workout, which Scott assures are carefully plotted out so that each class ranges in intensity. “We wanted to make sure people weren’t taking three spinning classes or getting beat into the ground by high intensity workouts,” she says. Between each class is a 15-minute walking intermission to their next location, and after the third class people go their separate ways, Scott says. In previous years, they tried to host a closing party but people were just too exhausted. There’s not much more to do after three workout classes anyway other than hit the couch. All crawls’ final destination may be the same, but at least this time you’re working towards a healthier tomorrow, not a hungover one.